Danielle and i had went back and forth ALL day as we were watching the weather and it had been calling for storms! We decided to switch locations and continue with the session. Sometimes you just have to take a chance and go for it anyways because magical sessions like this happen! The storm passed by and the most amazing clouds came in for THE perfect sunset. And it’s actually one of my favorites I think I’ve ever captured! 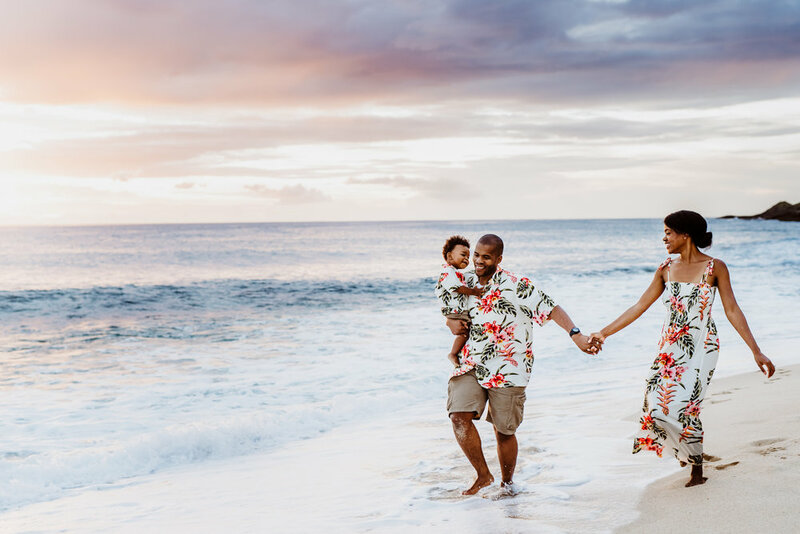 The colors in the sky, the water, location and this family were perfection. I truly am SO darn lucky to capture so any beautiful families every day! 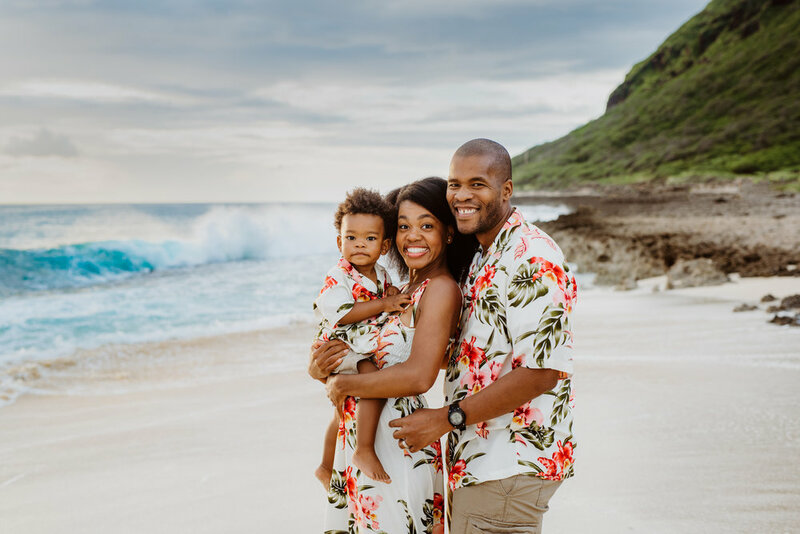 Being a Oahu Hawaii Family photographer has quickly become a favorite for me! Capturing real raw moments that will be cherished for a lifetime is my main goal!